This will be the 9th Symposium dedicated to Cultural Heritage (CH) within the E-MRS Spring Meeting Conferences. CH is defined by the Council of Europe “as a resource inherited from the past which people identify, independently of ownership, as a reflection and expression of their constantly evolving values, beliefs, knowledge and traditions”. This shared resource of testimonies, values and know-how constitutes the driving force for promoting identity, cohesion and creativity. The awareness, preservation and dissemination of CH depends strongly on scientific and technological expertise on materials in a dynamic and fruitful cycle within the different scientific fields. The symposium gives voice to the challenges that Cultural Heritage faces in contemporary societies, in relation to memory and knowledge, social change, sustainability, management and the projection of the future. Within the framework of the current complexity of the economic and social context, globalization and new emerging paradigms, the symposium intends to address the most relevant issues posed to CH and to point to possible new routes, crossing all areas of knowledge, presenting updated reflections, alongside the dissemination of good practices. By promoting a close cooperation between CH researchers, professionals, students, policy makers, authorities and people in general for the understanding of our common memory and identity and its rich national, regional and local diversity, we intend to to encourage the debate around the importance, diversity, preservation, valorization and reuse of Cultural heritage in an integrated cross-sectoral and interdisciplinary perspective. The forum will permit to highlight the contributions of CH to society, economy, cultural creation and education and to increase a citizen-centric approach by disseminating innovative models of Cultural Heritage science and its inclusive role. To explore and enhance the importance of Materials Science for Cultural Heritage, this Symposium will provide a multidisciplinary common ground for cutting-edge scientific and technological issues in all cultural heritage concerns and perspectives involving the large and varied community of international experts in art, archaeology, ancient technology, new and improved materials for preservation and conservation, weathering, restoration strategies, climate change and anthropic pressure. Selected papers will be published in a special issue of the journal "Heritage" (MDPI). Resume : Microorganisms are highly proficient at inhabiting and decaying paper, leather and stone objects, generating serious problems for the conservation of paintings, textiles and sculptures. The associated health risks coupled with the cost of decontaminating infected artefacts, exhibition rooms and depots make this a pertinent topic for museums, local authorities and private collectors alike. Moreover, our shared cultural heritage is a social, economic and environmental resource for Europe . The overall aim of our current research efforts is to engineer a range of molecular and hybrid materials with enhanced antimicrobial properties, which act to help prevent the biodeterioration of cultural heritage objects. A good example of molecules with these characteristics are the polyoxometalate ionic liquid (POM-ILs). This nanostructured materials present modular and tunable features and can act as precision biocides, and their condition at room temperature (colorless oils, waxes or gels) make them a highly appropriate compound for the cultural heritage conservation [2, 3]. Our research also demonstrates how comprehensive antimicrobial activity programs can be used to assess the activity of nanomaterials against bacterial and fungal strains commonly found infecting real objects of cultural heritage [3, 4]. K. Sterflinger and G. Piñar, Appl. Microbiol. Biotechnol., 2013, 97, 9637. A. Kubo, L. Kremer, S. Herrmann, S. G. Mitchell, A. Kahru, C. Streb, ChemPlusChem, 2017, 82, 867. A. Misra, I. Franco Castillo, D. Müller, C. González, S. Eyssautier-Chuine, A. Ziegler, J. M. de la Fuente; S. G. Mitchell & C. Streb. Angew. Chem. Int. Ed., 2018, DOI: 10.1002/anie.201809893  I. Franco Castillo, L. De Matteis, M. E. García Guillén, J. M. de la Fuente, S. G. Mitchell, Int. Biodeterior. Biodegradation, 2018, DOI: 10.1016/j.ibiod.2018.04.004. Affiliations : CSGI and Chemistry Department, University of Florence, Via della Lastruccia 1 – 50019 Sesto Fiorentino (FI), Italy. Resume : Cellulose-based materials constitute a large part of the global patrimony of mankind. The most important degradation mechanism of cellulose is the acid-catalyzed hydrolysis of β-1,4-glycosidic bonds, which results in the decrease of cellulose degree of polymerization and in the loss of the original mechanical properties. In the case of acidic and strongly mechanically-degraded cellulosic works of art, both a deacidification and a consolidation treatment are required. In the framework of the EU Project NANORESTART, we devoted research efforts to the formulation of combined systems to neutralize acidity, and, at the same time, improve the mechanical resistance of the original material. To this aim, we developed water-based hybrid systems for the simultaneous strengthening and deacidification of paper. These systems feature cellulose nanocrystals (CNCs) and alkaline nanoparticles, namely calcium hydroxide and calcium carbonate nanoparticles obtained via a solvothermal process. However, not all cellulose-based artifacts can withstand the application of water-based systems. Therefore, we developed solvent-based hybrid systems, featuring surface-modified CNCs to favor their dispersion in short chain alcohols. Hybrid systems were characterized using rheology and small-angle X-ray scattering (SAXS). The efficacy of the proposed systems for strengthening and deacidification of acidic paper was evaluated with tensile testing and pH measurements. Resume : The built heritage shows that wood makes it possible to design sustainable and healthy buildings. However, the mechanisms of aging and the evolution towards a dimensional stability of the wood materials are still not well understood. Thus, to estimate lifetimes or to propose methods of maintenance, it is necessary to continue the research efforts to understand the mechanisms of wood’s physical aging and its hygro-mechanical properties at the scale of its constituents. In this study, modern and historical oak wood samples are subjected to accelerated aging through hydric cycles or moderate heat treatments (120°C), to mimic and study wood aging. 2D 1H NMR relaxometry is the principal tool used to investigate the interactions between water and wood polymers. This technique is non-destructive and non-invasive and it allows quantifying two pools of bound water in the wood cell walls - one being more strongly associated to wood polymers than the other is. NMR results show that the strongly associated bound water pool (supposed to be mostly in interaction with a cellulose-glucuronoxylan matrix) is relatively less affected than the other bound water pool (which is supposed to be essentially associated to a lignin-xylan matrix). These results could be explained either by a selective degradation of the xylan matrix or by changes in the structure of the extractible or of the hemicelluloses that modify the accessibility of the adsorption sites. Resume : The Mesopotamian clay Tablets constitute a major testimony of Human Mankind. They were used from the 3rd millennium BC as first writing supports for recording various administrative, political, economic activities and historical events. The tablets are made of a mixture of unbaked clays (kaolinite, smectite, illite, chlorite...) and fine earth particles. Such materials are particularly susceptible to humidity, temperature variations and salts contamination. Their conservation is a great challenge for the Museum. At the Department of Near Eastern Antiquities of the Louvre Museum, a chemical treatment with Tetra-Ethyl-Ortho-Silicate (TEOS) is employed since 1990 to consolidate fragile and cracked tablets before desalination by immersion in water. This work presents part of the researches conducted in order to better comprehend the interactions between the constitutive materials and the consolidant in order to optimize the treatment protocol. A previous step has already shown that two clays, in particular, smectite and kaolinite that are largely dominant in the tablet composition seemed to be particularly reactive towards SILRES and that minimal content of kaolinite seemed to be indispensable to obtain successful consolidation. The aim of this study was to confirm (or not) this hypothesis. The effectiveness of TEOS-treatment, both at macro-and-micro scales, was evaluated by studying the behavior of a simple and variable model clayey material, made of mixtures in different proportions (0 − 40%) of both clays with the TEOS-based-consolidant (SILRES BS OH 100®). The multiscale analytical protocol used (XRD, SEM, NMR, mechanical properties investigations, Hg-porosimetry, IRTF, CEC determinations…) allowed us highlighting, the physicochemical, textural and mechanical modifications of simple clay mixtures systems before and after treatment. Main results show a significant decrease of specific surface, cation-exchange capacity, and dilatation properties of montmorillonite with the increase of kaolinite amount. The porosity of material is also notably affected by the kaolinite content. Moreover, mercury intrusion porosimetry reveals also the development of silica network in inter-and intra-aggregates porosity after treatment. The role of kaolinite is therefore discussed on the regards of its low accessible bonds identified by IRTF and compared to montmorillonite. This study was carried out within the framework of RECOLLECT Project and supported by Paris Sciences et Lettres (PSL). Resume : Adobe is widely present in ancient and contemporary architecture worldwide; however, it is sensitive to weathering, which produces decohesion and crumbling. Currently adopted consolidants (alkoxysilanes, synthetic or natural polymers) lack physico-chemical compatibility with the original adobe constituents, and can even favor degradation. We propose for the first time a nano-composite system for the surface consolidation of adobe. Silica and calcium hydroxide nanoparticles, present in the composite, react to form calcium silicate hydrate (CSH) within the pores of adobe, in a process that mimics the setting of portland cement. Different formulations were characterized by Fourier Transform Infrared spectroscopy (FTIR), X-ray diffraction (XRD), scanning and transmission electron microscopy (SEM, TEM), dynamic light scattering (DLS), and turbidimetry (UV-Vis spectroscopy). A ternary composite made of SiO2 nanoparticles, Ca(OH)2 nanoparticles, and hydroxypropyl cellulose, dispersed in an ethanol:water blend, was selected for applicative tests. Each component is compatible with adobe, and participates in the consolidation process. Thanks to the in situ formation of CSH, the treated adobe samples exhibited resistance to peeling, abrasion and wet-dry cycles, with no discoloration. These results offer new possibilities for the conservation of adobe, and open perspectives in sustainable architecture, where the new formulation could be used to prepare bricks with enhanced resistance. Resume : Pipe organs with their unique musical sound are important objects of the cultural heritage. Such instruments consist of a number of pipes (flute and reed), which are prone to heavy corrosion attack, getting finally voiceless. The atmospheric corrosion of reed (CuZn alloys) and flute pipes (PbSn alloys) is strongly enhanced by traces of volatile organic compounds (VOCs) and the alloy’s instability. Moreover, there is a strong impact of humidity in the corrosion process. Experiments have been undertaken to explore the suppression of an aqueous corrosion with acetic acid concentration (2–5 v/v%) of CuZn and PbSn alloys, by deposition of nanocoating using two different methods: (i) Pulsed laser- or Magnetron sputtering deposition of Al2O3 or Al followed by plasma immersion ion implantation of nitrogen as a vacuum technology, and (ii) Plasma enhanced CVD of SiOx films at atmospheric pressure. The nanocoating is then able to withstand acoustic vibrations of organ pipes, and it produces a barrier to VOCs and water vapor. The laboratory corrosion tests were combined with field studies to approach environmental conditions. Some of the samples were exposed for 15 months to harmful indoor environment in North-German church. Surface modification of metallic alloys based on ion-solid interactions as well as plasma-based processing creates new paths in restoration and conservation technologies to protect our historical and modern cultural heritage against environmental attacks. Affiliations : (1) LAPA-IRAMAT, NIMBE, CEA, CNRS, Université Paris-Saclay, CEA Saclay, 91191 Gif-sur-Yvette France; (2) Institut Lavoisier de Versailles (ILV), Université de Versailles Saint-Quentin-en-Yvelines, Université Paris-Saclay, 45 avenue des États-Unis, 78035 Versailles, France. Resume : Characterization of cultural heritage objects is challenging. It requires being adapted to the object dimensions or limit deterioration by sampling, not damage samples during manipulation, preparation and by the analyses techniques employed themselves. Non-invasive techniques are then preferred. At first sight, electron spectroscopies (XPS and AES) are of particular interest as they give information about the composition and chemical environments (oxidation degree) at the material surfaces (depth probed < 10 nm) from micrometric to nanometric scale. Copper compounds analysis by XPS and AES is a routine when they are issued from microelectronic processes but radical different behaviour are observed for atmospheric corrosion products. The present work deals with the implementation of XPS and nano-AES on different compounds constitutive of atmospheric corrosion product layers of heritage copper objects. We propose here a complete study made on commercial (Cu2O, CuO, CuSO4 5H2O), synthetized and natural (Cu4SO4(OH)6) references. The literature is rare but instability during prolonged irradiation has been previously mentioned in some cases. So, spectra are recorded during increasing UHV exposition and/or irradiation times enabling to determine the dynamic, ultimate irradiation doses and nature of the changes (reduction process). This conditions the analysis time to obtain reliable information but also the optimised analyse pathway when multi-techniques analyses are implemented. Resume : In the outdoor environment, bronze and copper statues undergo alterations caused by water and atmospheric pollution. This leads to physical and aesthetic modifications of the copper objects by the formation of a corrosion product layer (CPL) composed of a thin inner layer of cuprite Cu2O (5 to 10 μm) at the metal/CPC interface and an outer and thicker layer (20 to 50 μm) consisting mainly of brochantite Cu4SO4(OH)6. To limit these effects, the restorers mainly use treatments with microcrystalline waxes but requiring frequent applications. The search for new corrosion inhibiting treatments, non-toxic, is a major issue in the field of heritage. The new treatments based on carboxylate, saturated carbonaceous long chain, in solutions (HC10) have been developed, in particular on ferrous alloys, and seem promising for copper alloys. However, little information exists on the CPC/carboxylate layer interaction mechanisms. Our work focuses on the study of the efficiency of the HC10 treatment by visualizing its penetration deep inside the CPL to enhance the protection effect as well as the interactions at the CPL/metal interface from micrometric to nanometric scale via a set of complementary analytical techniques mainly implemented on cross sections: μ-Raman spectroscopy for structural analyzes, EDS and electron spectroscopies, and particularly nano-Auger, for chemical investigations. This methodology will be detailed and illustrated on samples issued from the roof of the cathedral of Metz with and without HC10 treatment. Main result shows that CuC10 can precipitate at the cuprite/brochantite interface. Resume : Metals have played a key role in the course of civilization and they are still central to many technologies. Especially silver and copper have been valued as precious materials since time memorial for jewellery, fine utensils, coinage, and photography. As those metals are exposed to different indoor and outdoor environments, the function of the material can be affected or even destroyed. The increasing concentration of anthropogenic caused pollutant gases mainly present in urban environment atmospheres is challenging corrosion scientists as well as scientists and conservators dealing with art objects in museums, private collections or archaeological findings. Therefore, it is of special interest to develop methods and strategies to prevent those atmospheric attacks. A new coating e.g. atomic layer deposition (ALD) with Al2O3 was explored by applying it on silver and copper and exploring their effectiveness under defined ambient aging conditions. Artificial aging was performed under different relative humidity contents (50 – 90 %RH) and concentration of corrosive gases: H2S, SO2, NOx and O3 (ppb-ppm range). Corrosion product formation was analyzed by Infrared Spectroscopy and Raman spectroscopic imaging. Furthermore, Atomic Force Microscopy was applied to obtain surface topographic information of the samples. The results impressively show that the coating protects the metal surface against most inorganic corrosive gases and decreases the corrosion rates by a factor of 10-2. Resume : This paper presents a model to guide trustees, conservation planners and painters to make evidence-based decisions in maintenance, preservation and restoration of steel sheet roofs on historic buildings. The research sets out from Swedish conservation practice, focusing on treatments for steel sheet roofs with anticorrosive paints. The information concern methods and materials for cleaning, corrosion protection and painting of both historic steel sheet roofs and new factory primed steel sheet roofs. The information origin from both research and experiences from practice. The aim is to bridge the communication gap between research and practice and to provide a useful tool to balance technical, economical and cultural historical values of historic building. The research is outlined in accordance to the building conservation process, with the general phases anamnesis, diagnosis, therapy and control. The results are presented in schematic guides and matrixes designed to make informed decisions and to balance contextual modalities in heritage conservation in an intelligible way. Resume : The urgent need for the restoration and preservation of mineral gypsum (selenite), a material used extensively and in a unique way in Minoan palatial architecture, gave rise to a series of studies focusing on the design and performance evaluation of custom tailored multifunctional materials. Despite the fact that the initial goal was the mitigation of problems related to the cohesion restoration of mineral gypsum crystal aggregates in Knossos Palace, inevitably our studies were expanded to gypsum plaster. Gypsum plaster saw a much more extensive use mostly for ornamental purposes throughout the centuries. Hence, the development of consolidants specifically for gypsum plaster restoration purposes presents a widened interest. Although mineral gypsum and gypsum plaster share some common aspects such as the chemical composition, they are significantly different when it comes to their natural properties such as porosity and water vapour permeability. The most recent results and developments regarding the performance of consolidants the main parameter of which is the compatibility with the calcium bearing substrate in terms of surface coordination chemistry are presented in this work. Acknowledgment. We thank the European Union's Framework Programme for Research and Innovation HORIZON 2020 for funding the project HERACLES under grant agreement No 700395. Resume : Mineral gypsum (selenite) stones have been used extensively by ancient Cretans in the Minoan Palace of Knossos, mostly for building and ornamental purposes. Apparently, the main reasons for that were its availability and its aesthetic value. However, from a chemical stand-point Knossian mineral gypsum presents two significant problematic issues: its rather high water-solubility and its softness. Consequently, exposure of mineral gypsum to environmental stresses (temperature fluctuations, rain, air-born pollutants, soluble salts, etc.) causes solubility-driven degradation, and loss of cohesion of the crystal aggregates, with ensuing aesthetic degradation. A plethora of organic and inorganic chemical consolidants for gypsum have been evaluated in our laboratory. All of them possess chemical moieties that are capable of interacting with surface calcium ions, such as carboxylate (-COOH) and phosphonate (-PO3H2), of course, in their deprotonated form. The layered structure of gypsum (CaSO4•2H2O) demonstrates calcium ions (Ca2+) that are “exposed” to the inter-layer space, and to the crystal surface. Furthermore, each calcium ion is coordinated to two water molecules. In this presentation, we will interpret and discuss the efficiency of a number of anionic consolidants by using “tools” provided by surface coordination chemistry. Consolidation efficiency (i.e. the ability of a chemical compound to provide cohesion to the stone of the different mineral gypsum varieties) is based on the utilization of a drilling resistance measuring system (DRMS). Possible structure/function relationships will be discussed. Acknowledgment. We thank the European Union's Framework Programme for Research and Innovation HORIZON 2020 for funding the project HERACLES under grant agreement No 700395. Affiliations : (1) CENIMAT/I3N?Centro de Investigação em Materiais, UNINOVA?Instituto de Desenvolvimento de Novas Tecnologias, Departamento de Ciência dos Materiais, Faculdade de Ciências e Tecnologia, Universidade Nova de Lisboa, 2829-516 Caparica, Portugal. (2) CNR Consiglio Nazionale delle Ricerche, ISMN?Instituto per lo Studio dei Materiali Nanostrutturati, Via Salaria km 29.5, Monterotondo, 00015 Rome, Italy. (3) EPHORATE of Antiquities of Heraklion, Xanthoudidou & 1 Chatzidaki str, Heraklion 71202, Greece. (4) Dipartimento di Ingegneria dell?Impresa, Università di Roma Tor Vergata, INSTM?Consorzio Interuniversitario Nazionale per la Scienza e Tecnologia dei Materiali, via della Ricerca Scientifica, 00133 Rome, Italy. (5) Dipartimento di Scienze della Terra, La Sapienza Università di Roma, P.le Aldo Moro 5, 00185 Rome, Italy. Resume : The Palace of Knossos is one of the most important archaeological sites in Crete, Greece. The main excavation work took place at the beginning of the 20th century, directed by Sir Arthur Evans. The importance of this site led Sir A. Evans and his collaborators to design and perform preservation actions, which included the reconstruction of relevant parts of the Palace of Knossos. In addition to preserving the site, reconstructions were a way of highlighting the grandeur of the palace and the Minoan civilization. At Sir A. Evans time concrete was already one of the most widely used materials for construction. Considered a durable material, the concrete was used in the construction of reinforcement structures and new architectural elements, often placed in direct contact with the original materials. Currently, Evans interventions are considered an important testimony to the history of conservation heritage and to the archaeological site itself. In the context of the HERACLES Project , samples of the concrete used in the Palace of Knossos were studied to determine its morphological and chemical characteristics. For this purpose, a set of techniques were used such as X-ray diffraction (XRD), X-ray fluorescence (XRF), optical microscopy (OM), Fourier transform infrared spectroscopy (FTIR), Polarized Light Microscopy (PLM) and Scanning Electron Microscopy (SEM) to assist the preservation strategies of both concrete and original materials. This work was supported by the European Union?s Framework Programme for Research and Innovation HORIZON 2020 under Grant Agreement 700395 project HERACLES. Acknowledgment to the Portuguese Foundation for Science and Technology (FCT) UID/EAT/00729/2013 and EAT/00729-3 by FEDER funds through the COMPETE 2020 Programme and National Funds through FCT?Portuguese Foundation for Science and Technology under the project number POCI-01-0145-FEDER-007688, Reference UID/CTM/50025/2013 NOVA.ID.FCT. Resume : Beginning of this millenium saw the first application of X-ray synchrotron microtomography in palaeontology at the ESRF. Since then, this technique became the golden standard for non-destructive imaging of fossils, especially through phase contrast imaging. applications in art and archaeology are more recent, but may see similar level of success. Nevertheless, sample size is typically limited to few millimeters in most of the beamlines, with only a handful of them allowing specimens in the decimeter range. There is a clear lack of solution for high-sensitivity imaging in larger specimens. The BM18 beamline project at the ESRF aims to tackle these limitations all at once by making possible synchrotron multi-resolution imaging on much larger samples than today. BM18 will be able to image specimens up to 1 m in diameter and 2.5 m vertically. It will cover a pixel size range from 100 µm down to 1 µm, thanks to a 35 cm wide polychromatic beam able to reach 300 keV, tunable in flux, spectrum and geometry through various in-line X-ray optics. The whole beamline is designed for multi-resolution investigations using semi-automatic multi-detector system. The exceptional coherence properties of the ESRF-EBS, coupled with the 38 m of propagation on BM18 will allow phase contrasts imaging capabilities without equivalent worldwide. BM18 should open tremendous new research capabilities in cultural heritage related topics. The expected start of user operations is planned for September 2021. Resume : Terahertz (THz) pulsed imaging technique has been used in heritage science research filed in these ten years, and various case studies revealed that the technique can be used as a nondestructive testing tool for internal structure observation of paintings. We have examined a masterpiece of modern painting by Salvador Dalí (1904-1989), "Venus and sailor", one of collections of the Ikeda Museum of 20th Century Art in Japan, by using THz pulsed imaging. The artwork was exhibited when he put on his first solo exhibition in 1925, and the artwork is of great interest as a monument to Dali’s youth, before surrealism. According to Dalí himself, the artwork was painted on another old painting, which was acquired by his father. First Dalí painted an Impressionist style painting on it, then a portrait of his girl friend, but then he draw a friend of Figueras one after another, he drew another subject with tempela, finally he drew a Venus. Therefore, the painting most likely consist of five layers if the artist did not remove previous works, and THz pulsed imaging should give useful information to understand the history of this painting. Moreover, several intervention treatments had been carried out in the 20th century. The backside of the original canvas was lined with a thick linen cloth, and was glued to the aluminium panel tightly with wax. The relatively strong reflection signal from the aluminium panel should give the clear position of the rear surface of the underlining canvas. Experimental results proved the multi-layer structure of the painting, and the thickness of each layer can be estimated. Since the number of layer depends on the position in the artwork, Dalí did not repaint the whole surface one after another. He painted, as he wanted to change some parts in the painting. Resume : Between 3rd century BC and 3rd century AD, ancient Egyptians mummified millions of animals to produce votive offerings to deities. Their detailed studies can bring a lot of information about Egyptians culture and praxis, but such a fragile patrimony should be studied without damages. We are investigating the capabilities of propagation phase contrast synchrotron radiation microtomography for this demanding research topic. Here we present two specific cases studied at the beamline BM05 of the European Synchrotron Radiation Facility. We used different polychromatic configurations covering an energy range from 100 keV to 130 keV and voxel sizes from 50 µm down to 4 µm. MHNL 90001850 is a mummified crocodile curated in the Musée des Confluences in Lyon, France. The data revealed an unexpected manufacturing process of the body, which could question the way ancient Egyptians selected and prepared animals used to make sacralised mummies. MG.2038 is a sealed terracotta jar thought to contain an ibis mummy, curated in the Musée de Grenoble. Data showed that it contains a single mummified ibis, enwrapped in various textiles. Moreover, they revealed the structure of the jar itself, allowing combining ceramology and archaeozoology. 3D print made the content of this jar visible to the public, without opening it. These examples demonstrate the huge possibilities offered by synchrotron imaging, not only to study mummies, but more generally for studies of rare and fragile archaeological remains. Resume : Our contribution aims to provide an overview of consecutive interdisciplinary projects funded by the Austrian Science Fund (FWF) in order to strengthen the interdisciplinary research between humanities, computer vision and natural sciences in the field of medieval manuscripts. The fruitful cooperation and knowledge collected so far gave rise to build up The Centre of Image and Material Analysis in Cultural Heritage (CIMA)  in the framework of the HRSM-project . The scientific methodology developed by CIMA is divided into the following tasks: a) multi-spectral imaging applied for the image analysis and documentation of manuscripts enhancing their readability, b) non-invasive elemental analysis by X-ray fluorescence in combination with compound-specific analytical methods as Fourier transform infrared and Raman spectroscopy, and c) DNA-analyses (metagenome) of the parchment, including the DNA of the animal skin and living organisms thriving on the parchment. The big amount of collected data allows holistic comparative studies. To this end we are currently in the process of unifying and structuring our data in a multi-modal database. https://hrsm.cvl.tuwien.ac.at/ last access Jan. 31, 2019. “Analysis and Conservation of Cultural Heritage – Modern Imaging and Material Analysis Methods for the Visualization, Documentation and Classification of Historical Written Material (Manuscripts)”, Higher Educational Plan 2013 of the Austrian Federal Ministry of Science and Research. Resume : Innovations are driven by new materials functions, which often arise from research findings. Transition to practical use is crucial in order to implement innovations in the society. In order to be systematic and create wide impact, the transition should be aligned with regional or national growth through development strategies. In this paper we share practices regarding smart specialization (RIS3) specialists in the topical area of advanced materials for facilitating stakeholder (organizational, regional) exchange. We present an example of an academia-SME collaboration that emerged by an initiated sharing activity between two regions, and expanded into three new collaboration schemes based on a mutual benefit. That is, the specialist acted as bridgehead builder for exchange and creation of pilot projects. Innovators are individuals who are sources of new innovations, and need support for integrating their interests in a broader and longterm concept, such as smart specialization for regional growth. We introduce the concept of crossover generalist for supporting innovators to facilitate creation of pilot projects which are beneficial for intra- and interregional exchange. The crossover term reflects exchange between different fields (cultural, digitalization, etc). We discuss the Buurtzorg model which focusses on supporting patients in health care, and adapt the thinking to propose similar individual based models in other contexts, such as cultural, societal, industrial, etc. Resume : This paper presents the reconstruction of anticorrosive armour paints that were used from 1920´s on steel sheet roofings, bridges and ferrous structures. The weathering resistance of this paint type is remarkable, and examples are given on historic structures with very long repainting intervals. The results sets out from historical receipts, craft and method descriptions for reconstructing armour paints, a paint type containing metallic aluminium, micaous hematite and quarter tung standoils. Weathering performance tests are conducted on different susbstrates and with primers of red lead versus complex phosphates. The results, experiences and procedures for maintenace of ferrous structures are presented. Resume : Roman glass shards recently discovered on plough fields surrounding the ancient Roman city of Aquileia (IT) were studied in order to characterize their morphology and chemical composition. A multi analytical approach was performed employing Laser Ablation Inductively Coupled Plasma Mass Spectrometry (LA-ICP-MS), Scanning Electron Microscopy-Energy Dispersive Spectroscopy (SEM-EDS) and UV-VIS Reflectance Spectrophotometry. The data correlations provided essential information about the raw materials (sands, fluxes and chromophores). The composition of the Aquileian samples was compared with both compositions described in literature for samples from other sites (dated between the 1st to 5th century AD), and further samples held at the Museums of Aquileia and Adria (IT) with the aim of identifying their origin and dating them. Spherical metallic inclusions encapsulated in some samples were also analysed to get indications about their composition, origin and reason of their presence. Affiliations : (1) CENIMAT/I3N—Centro de Investigação em Materiais, UNINOVA—Instituto de Desenvolvimento de Novas Tecnologias, Departamento de Ciência dos Materiais, Faculdade de Ciências e Tecnologia, Universidade Nova de Lisboa, 2829-516 Caparica, Portugal. (2) CNR Consiglio Nazionale delle Ricerche, ISMN—Instituto per lo Studio dei Materiali Nanostrutturati, Via Salaria km 29.5, Monterotondo, 00015 Rome, Italy. (3) EPHORATE of Antiquities of Heraklion, Xanthoudidou & 1 Chatzidaki str, Heraklion 71202, Greece. (4) Dipartimento di Ingegneria dell’Impresa, Università di Roma Tor Vergata, INSTM—Consorzio Interuniversitario Nazionale per la Scienza e Tecnologia dei Materiali, via della Ricerca Scientifica, 00133 Rome, Italy. (5) Dipartimento di Scienze della Terra, La Sapienza Università di Roma, P.le Aldo Moro 5, 00185 Rome, Italy. Resume : Built heritage exposed to environmental conditions is particularly sensitive to climatic changes. One of the symptoms of weathering is the presence of black crusts overlaying inorganic materials. These black crusts may have different origins and several methodologies for conservation purposes exist depending on the crusts, typology of substrates and degradation state. The main result of this crusts is the chemical and aesthetic modification of the materials. 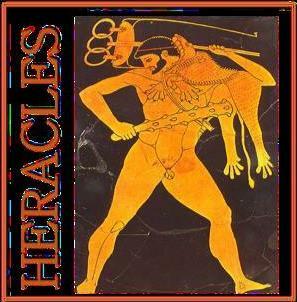 The HERACLES Project  deals with the resilience of monuments to climate actions and one of its case studies is the Palace of Knossos in Crete, Greece, representing the ceremonial, economic, social and political centre of the first civilization of the Mediterranean basin, namely the Minoan civilization. Black crusts in this monument are mainly seen today deposited on the concrete structures. In the Palace of Knossos, concrete was widely used by Sir Arthur Evans during the 1920s and 30s as an attempt to reconstruct relevant parts of the monument. An approach using ex-situ characterization techniques was devised to assist in the diagnosis and preventive actions to be taken, namely optical microscopy (OM), polarized light microscopy (PLM), scanning electron microscopy (SEM), X-ray diffraction (XRD) and Raman spectroscopy. First results on this characterization will be presented as a contribution to improve the knowledge on the specificity of these crusts on the Palace of Knossos. This work was supported by the European Union’s Framework Programme for Research and Innovation HORIZON 2020 under Grant Agreement 700395 project HERACLES. Acknowledgment to the Portuguese Foundation for Science and Technology (FCT) UID/EAT/00729/2013 and EAT/00729-3 by FEDER funds through the COMPETE 2020 Programme and National Funds through FCT—Portuguese Foundation for Science and Technology under the project number POCI-01-0145-FEDER-007688, Reference UID/CTM/50025/2013 NOVA.ID.FCT. Resume : Foxing stains develop on paper with time. Foxing stains typically appear as either spotty or diffused areas on aged paper documents with yellowish, brownish, reddish or blackish colors. One can easily determine foxing stains from photographic images by their visual appearance (typically localized change of color). For record keeping and characterizing the degree of deterioration and degradation of printed paper documents with aging, photography is done either on a regular basis or on a need basis. However, the characterization of the affected areas is not easy. It requires experience and skill. Depending on the level of experience and the skills of the personnel handling document characterization, the outcome can vary significantly due to the subjective nature of visual inspection. It would be beneficial to develop image-based analysis technique which are both quantitative and objective for characterizing foxing stains on old printed paper documents from the development of personnel independent characterization and conservation points of view. In this paper, we studied the feasibility of image-based quantitative analysis of foxing stains on collections of old (18th and 19th century) European books stored in the Rare Book Library of the Seoul National University in Korea. We were able to objectively determine the foxing affected areas on books using image processing software (PicMan). Resume : During the firing of glazed ceramics, the glaze interacts with the paste, leading to an important modification of the glaze chemistry and consequently of its properties. Besides, this interaction leads to the formation of an interface area containing crystalline species whose morphology, chemistry and structure are controlled by numerous parameters (firing conditions, paste and glaze chemistries etc.). Thus, understanding this interaction can give precious information on the ceramics elaboration process. By making replicas under controlled conditions and comparing their interface to those of archaeological samples, we can figure out how the artist was proceeding. In the present study we focus on Bernard Palissy glazed ceramics (16th century, Renaissance period) which combine mechanical perfection (no cracking, remarkable interfacial cohesion) with an amazing aesthetic quality (wide range of colors). In this work authenticated ceramic shards discovered in Palissy’s Parisian workshop in the 1980s were studied. Concerning the replicas, the effect of several parameters including the glaze composition, the firing temperature and duration and the cooling rate etc. on the interface areas were investigated. As the interface area presents micro- and nano-scale heterogeneities, scanning electron microscopy (SEM) coupled to X-ray energy dispersive spectroscopy (EDX) was first used to characterize the interfacial species morphology and chemical composition. Furthermore, some elements (Pb, Al, Si, Fe) concentration variations across the glaze were measured by EDX to investigate the diffusion process during the thermal treatment. Eventually, transmission electron microscopy (TEM) coupled to EDX and selected area electron diffraction (SAED) was used to characterize the species properties at the nano-scale. It was found that the interface area grows with temperature, firing time and decreasing cooling rate. The EDX composition profiles across the glaze revealed that the diffusion process is highly impacted by the initial composition of the glaze. Furthermore, lead feldspaths and mullite micro- and nano-crystals respectively were identified at the interface in both replicas and archaeological samples. By taking into account all the results and comparing replicas with archaeological samples, it can be suggested that Palissy was probably intentionally adding aluminium (in the form of clay) in his iron colored glazes and that he was working between 900 and 1000°C with a firing time of a few hours. Resume : Blue Print is an international, monographic programme leaded by ASET Stiftung (Berlin, Germany). The main objective of the programme is to figure out the knowledge and the technology of high-fired ceramics within and across Eurafrasia. Within the scope, this paper focuses on the characterization of Jian (Tenmoku) wares. During the Song Dynasty (960-1279 CE), Jian wares, which are famous for their shiny black glaze, were produced in the Jianyang county of the Fujian province in China. A phase separation between the melt glaze and the crystallized iron oxides is thought to create Hare’s Fur (HF) and Oil Spot (OS) patterns on the surface in Jian bowls. This paper includes the characterization of two shards of Jian ware with large-scale, laboratory instruments, e.g., XRD, Raman Spectroscopy and SEM-EDS in addition to a portable XRF. According to the analyses carried out, the chemical composition, the minerals found on the body and glaze, and the pigments were identified. XRD measurements show mainly the presence of quartz, mullite, calcite and feldspars in the bodies and colouring agents containing cadmium, selenium and iron in the decors with the confirmation of Raman analyses. While SEM analysis with the backscatter imaging on the cross section of the shards reveals the body and glaze morphology, EDS and XRF analysis show the major, minor and trace element compositions. Resume : This work aims to investigate Roman glass sectilia dated to the 2nd century A.D to shed light on the Roman glassmaking production of several opaque glass hues from red brown to orange. Due to the lack of technical historical glassmaking sources regarding this period many questions about technological aspects are still open. In this research a multi-disciplinary approach is in progress to investigate red glass sectilia in several hues from the Imperial Villa of Lucius Verus (161-169 A.D.) in Rome. Colorimetric measurements were performed to identify the colour hues followed by chemical characterization of the samples and identification of crystalline colouring phases. PIXE analysis was used to investigate the average chemical composition, while the crystalline phases were identified by Raman Spectroscopy and SEM-EDS. By SEM-EDS nano-particles were identified as colouring agent of red-brown samples whose chemical composition and morphology were deeply investigated. The results were finally compared to establish any correlation between the analyses and the different colour hues. Affiliations : 1Dip. Fisica “G. Occhialini”, Università degli Studi di Milano-Bicocca, Milan (I), 2 Veneranda Fabbrica del Duomo di Milano, Milan (I), 3 XGLab, Bruker, Milan (I), 4 Fondazione Maimeri, Milan (I) 5 University of Lausanne (CH), 6 Franco Blumer Restauro Metalli, Bergamo (I), 7 Università IUAV, Venice (I), 8 Lab. "Métallurgies et Cultures", CNRS, IRAMAT Université de Technologie Belfort Montbéliard (F), 9Jewels Designed for You Dubai (UAE), 10Independent researcher, Milan (I),11LAMA, Università IUAV, Venice (I), 12GECI, Milan (I), 13 Istituto di Fisica del Plasma “P. Caldirola”, Consiglio Nazionale delle Ricerche, Milan (I), 14 Dip. di Scienze della Terra e dell’Ambiente, Università degli Studi di Pavia, Pavia (I). Resume : Aluminium alloys are very interesting witnesses of the industrial and technical developments; the first ever been developed is Duralumin, a light metal with good mechanical properties . In the 1930s, the rise of nationalism stimulated R&D, generating various aluminium alloys. This work focuses on two versions of aluminium alloys, collected from crashed WWII fighters: P51 Mustang(US), Dewoitine D520 (FR), Messerschmitt Bf109 (DE), and Lancaster (UK). The first version with magnesium content below or equal to 1wt% and the second with higher magnesium content (1.5wt% ), were identified as 17S, 24S in the US; Duralumin, Duralumin FR in France ; AlCuMg1, AlCuMg2 in Germany and Hiduminium DU Brand, Hiduminium 72 in the UK . This study uses a multiscale approach and historical research complimented by analyses, allows a comparison and a better knowledge of the alloys used in each nations: their chemical composition, designations, microstructure, & mechanical properties. This work helps documenting collections exhibited in the Museum Aeroscopia in Toulouse. It could help create a database on materials used in ancient aircraft. It is also useful to a wider audience: curators working on the conservation or restoration of aircraft from that time. The evolution of the materials over time will be studied to assess if the war had an impact on the use of material, and if there were any shortages involving significant changes in the alloys composition. Eventually, this work is the first step towards evaluating the impact of the materials and their development on the performances of the aircrafts. Affiliations : 1 IMBE UMR7263/ IRD237, Avignon University/ CNRS/ IRD/ AMU, Restoration Engineering of Natural and Cultural Heritage F-84000, Avignon, France. 2 ASM UMR 5140 “Archéologie des Sociétés Méditerranéennes”, CNRS/ UPV/ MCC/ INRAP, F-34090 Montpellier, France 3 HiSoMA UMR 5189 “Histoire et Sources des Mondes Antiques”, CNRS, F-69007 Lyon, France 4 Confluences Museum, Lyon, France. Resume : Although the study of animal mummies has escalated over the past few decades in terms of reconstructing the mummification processes there is still so much that we do not know about this ritual practice. The reason lies in the fact that animal mummies have always been less valued in archaeological terms than their human counterparts. Fortunately, a large number of animal mummies were saved and now serve as an additional source of information.Therefore, this specific study deals with chemical analysis of organic materials employed in ancient Egyptian mummification of samples from Musée des Confluences in Lyon. The aim of this research is to develop novel analytical approach in order to characterize the organic matter present in balms and textile used for mummification of animals as well as to obtain information about their chemical composition and degradation processes. Considering the sophisticated and heterogeneous nature of organic materials (animal fats, plant oils, resins, bitumen, beeswax etc.) which were used in ancient Egyptian mummification a dual analytical approach, consisting of spectroscopic (FT-IR) and chromatographic (GC-MS) techniques, was applied. Ménager M., Azémard C., Vieillescazes C. 2014. Study of Egyptian mummification balms by FT-IR spectroscopy and GC–MS. Microchemical Journal, 114: 32. Richardin P. et al. 2017. Cats, Crocodiles, Cattle, and More: Initial steps toward establishing a chronology of ancient egyptian animal mummies. Radiocarbon, 59/2: 595.